Posted By:Unknown | At:3:53 PM Be the first to comment! "Nine years after the terrorist attacks of 2001, the United States is assembling a vast domestic intelligence apparatus to collect information about Americans, using the FBI, local police, state homeland security offices and military criminal investigators. The system, by far the largest and most technologically sophisticated in the nation's history, collects, stores and analyzes information about thousands of U.S. citizens and residents, many of whom have not been accused of any wrongdoing. The government's goal is to have every state and local law enforcement agency in the country feed information to Washington to buttress the work of the FBI, which is in charge of terrorism investigations in the United States. Other democracies - Britain and Israel, to name two - are well acquainted with such domestic security measures. But for the United States, the sum of these new activities represents a new level of governmental scrutiny." One of the critiques of Homeland Security is that it sometimes fails to properly train those who are gathering this data and offers little oversight of local agencies and centers. What's more interesting than the extent of the reach of Homeland Security is some of the groups labeled as "potential" terrorists, like Historically Black Colleges and Universities which are thought to be a "potential" hub for terrorism. 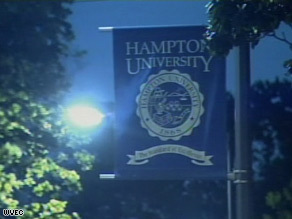 HBCUs were labeled as such by Virginia's Fusion Center. And here we thought that HBCUs were hubs for higher education and intellectual thought?